Magic: The Gathering boasts a long and storied history of financial highs and lows. Seemingly every time Wizards of the Coast announces some new policy shift or set, it feels as though half of social media is running around like Chicken Little calling out that the sky is falling and Magic is dying. The last year in MTGFinance has not been immune to shake ups. The shortening of the Standard rotation periods from 24 to 18 months (and now back to 24 months! ), the increased volume of supplemental product printings (and their associated reprints), as well as the standardization of Expedition/Masterpiece style promo cards in Standard legal sets have all had a significant impact on the financial landscape of the game. Some methods of making money on Magic have gotten more difficult, with a more limited profit potential, or a longer likely period of investments to achieve returns. Other opportunities have continued to provided reliable returns. If you speak to the people that actually work in the industry on the retail or e-commerce side of things, they will tell you that the buying and selling of collections on retail margin, or the purchasing and sorting of bulk collections, are much more reliable and profitable avenues than the purchase of sealed product, or individual card speculation. And while there is certainly some truth to those opinions, some of us are still putting up solid gains on speculative activity month after month, year after year, simply by putting in the hours on the research, and adhering to a loose set of principles learned through trial and error and a deepening knowledge of Magic: The Gathering as both a game and an economy unto itself. Certainly, one’s expectations of success must be tempered by the very real constraints that now exist in the market, but for the diligent and adaptable, good specs are still plentiful. This article is my first step towards attempting to codify the instinctual and statistical tools that I used to repeatedly identify strong targets for speculative activity, to maximize gains and minimize the time and expense spent on realizing those gains. Welcome to the MTGPrice Spec Score. Spec Score is not meant to be used or interpreted as a precise method of assessing speculation potential. Rather, it is presented as a general methodology for evaluating speculation targets that should add some necessary rigor and discipline to your speculation activities. Put simply, when considering where to put your money, run your options through the Spec Score calculator (coming soon to MTGPrice) and perhaps consider prioritizing higher scores over lower ones. If all the scores are coming out low, you might want to rethink your options. This one is pretty straight forward. Magic started with four distinct rarity levels: Rares, Uncommons, Commons and Basic Lands. Mythic Rares were introduced in the Shards of Alara block in 2008, and have had a dramatic impact on the financial landscape of the game, draining value from the lower rarities in much the same way that Expeditions (Battle for Zendikar/Oath of the Gatewatch) and Masterpieces (Kaladesh) do to the expected value of booster packs in their respective sets. And of course, the various rarities are distributed in booster packs in a 1:3:10 ratio (rare:uncommon:common), with mythic rares appearing in 1/8 packs, or about 12.5% of the time. The new Masterpiece rarity appears at a rate of just once per every four booster boxes, or 1/144 packs (just a 0.7% in a given booster). All of this underlines what we all already know: the higher the rarity, the better the chance for a significant spike in real dollar terms. Before you ever consider common or uncommon specs, consider your options in mythics, and then rares where you can cycle fewer sales for bigger profits per sale, reducing your time spent per transaction and lowering your incidental transaction costs such as shipping and materials. Note: Foils are a special case, since they represent higher levels of rarity vs the non-foil version, but are much more desirable in some formats (Vintage, Legacy, Modern, EDH), than in others (Standard, Casual). Generally speaking, foil premiums have been on the decline, likely due to a mixture of reprint action and the speed with which formats are rotating (Standard), changing (Modern), or stagnating (Legacy/Vintage). Nevertheless, if you are looking at a foil card and foils are relevant in the format(s) exhibiting demand (usually Modern, EDH/Cube or Legacy in that order) then add +10 points as foils of high demand rares or mythics can be drained out of the market much more easily than regular copies. It should also be noted that certain cards, while they are published with an assigned rarity, are in fact released in products like Commander 2016 that have no relevant rarities since each sealed product is the same and contains exactly one copy of each card. *+10 points for foils in a relevant format. After rarity, few factors are more likely to signal an incoming card spike than low inventory levels. Diligently tracking the falling inventory of a high demand card and finding the correct entry point is more art than science, but definitely pays off for those that do their research. Ideally you want to be looking for a moment when inventory is very low, but not so low that all sellers have raised their price to a new plateau. It is important to consider all major platforms for Magic sales, including Ebay, TCGPlayer, Amazon and the major vendors listed on MTGPrice.com. There’s a big difference between a single speculator clearing out the last seller on Amazon, and a card that has zero copies posted for sale anywhere after a major spike. Having some little known sources on hand to target, such as local shops or smaller online retailers, can be a major boon in these scenarios. After rarity, the relative power level of a given card in constructed formats vs. other similar cards at it’s casting cost and color requirements can be one of the most important signals of a good spec target. Power can be highly contextual format to format, and also fairly subjective, so we’ll keep this one pretty simple. For our purposes, high power cards break open games, average cards are contextual role players, and low power cards require very specific circumstances to be good. When choosing a point level for this attribute, ask yourself whether the card feels under or over-costed given it’s effect and card type. For example, Sol Ring and Ancestral Recall are high power cards in any format. Incinerate and Fleecemane Lion are playable. Codex Shredder is a low power card that happens to work in a very specific deck. This one is pretty straight forward as well. Cards with lower casting costs are much more likely to find a home in multiple formats. 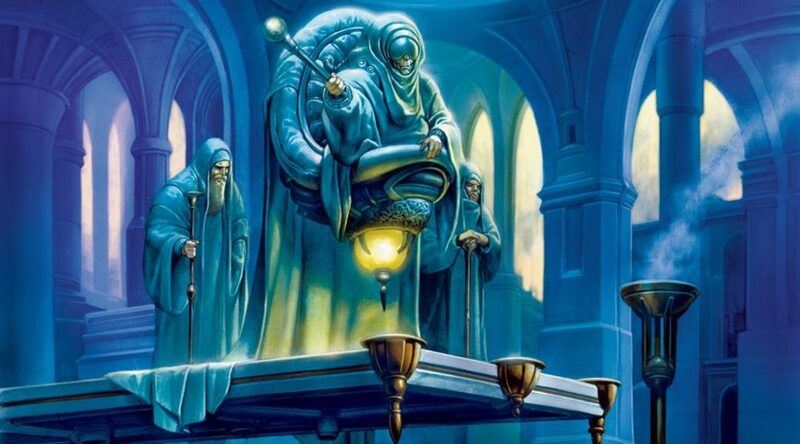 Given how fast Modern, Legacy and Vintage are as formats, and the general benefit conveyed by being able to cast a given spell early and often, casting cost is a major factor in selecting a card to speculate on. Naturally, cards like Tasigur, the Golden Fang, Dig Through Time or Metalwork Colossus need to be evaluated in the context of their likely real cost in terms of likely mana expended or the turn they are likely to be cast, rather than their casting cost as printed on the card. If you fancy yourself a Magic deck brewer, this concept will resonate. The more intensive the color requirements of a card are, the less likely it is to find a home in multiple decks, and the larger the drag on it’s speculation potential. A great card with intense color requirements (as defined by the number of total and/or seperate colored mana symbols in the casting cost) is going to have trouble being used in multiple archetypes, since many of the key decks in formats like Standard, Modern and Legacy need to run multiple colors in order to source the tools to form a competitive deck shell. 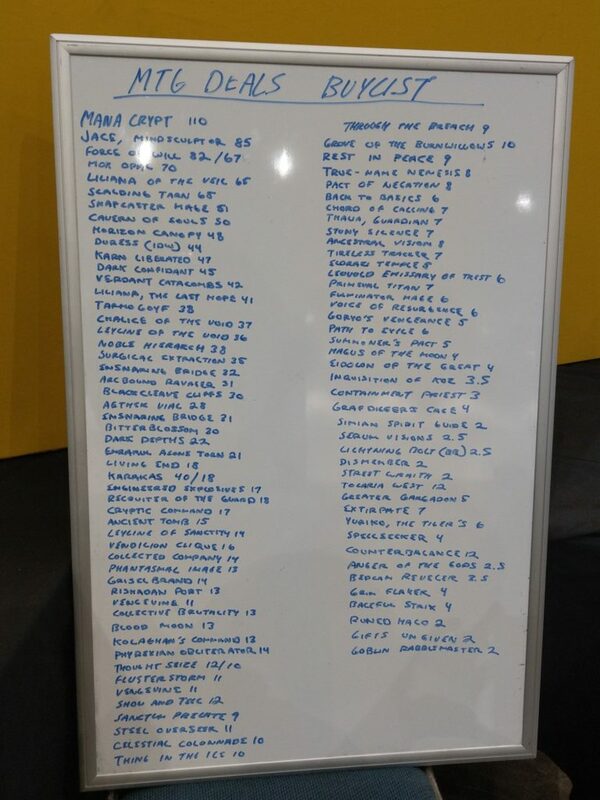 Smuggler’s Copter showing up as the maximum thirty-two possible copies in the top eight of GP Indy at the start of the 2016 fall Standard season is a great example of how an overpowered card with low color intensity and a low casting cost can make for an excellent speculative move. The more copies of a card the average deck wants, the more likely it is to be a great spec target. How many copies of a card get played depends on several factors, including casting cost, color requirements, available color fixing in the format, whether the card is legendary and whether multiple copies are redundant if played into the current board state. Regardless of why they want them, a card that is almost always played as a 4-of is a much more interesting spec than a card that is usually a 1-of. For instance, Skysovereign, Consul Flagship being a 5-drop legendary artifact was always likely to mean it would see less play than a card with early and late game usefulness like Grim Flayer. When we refer to format dominance, we are mostly counting up the number of formats that are likely to generate significant and persistent demand for the card in question. Generally speaking I only care about the Top 100 cards in a given format, though in broad formats like EDH, this might need to be a more elastic measure. Elspeth, Sun’s Champion for instance would definitely get points for Standard dominance during her time there, but would not be considered a Modern staple despite seeing occasional play in that format. Lightning Bolt on the other hand is a cross format super-star and would earn full points during any period where it was legal in Standard. Note: I believe Multi-Format Dominance while a card is in Standard to be one of the most important factors in identifying a solid spec target in the current environment. Think Kolaghan’s Command, Jace, Vryn’s Prodigy, Collected Company or Dig Through Time foils at their peak dominance/price while in Standard. This is where a lot of the speculation money is being made, hence one of the only chances to pick up more than 10 pts in this entire model. One caveat is when a card is too good. Think Eye of Ugin once the low casting cost Eldrazi were printed or Dig Through Time/Treasure Cruise in Modern. Each of these cards had excellent entry and exit points, but you had to move quick to dodge the ban hammer. The uniqueness of a card’s effect or impact on the game is a solid indicator of it’s suitability as a speculation target. Note here the difference between power level and “special snowflake” status. Treasure Cruise was just one of dozens of card draw spells, but its ability to cost as little as a single mana to draw three cards set it apart from the crowd on the basis of power level to potential casting cost. Doubling Season on the other hand, is one of the only cards in the history of the game to change the starting loyalty of a Planeswalker, as well as doubling tokens on counters of all kinds on permanents you control. No wonder then that the card has rebounded more or less consistently since it’s first reprinting in Modern Masters 2013. A very resilient and unique card. The point values on “uniqueness” must be taken with a grain of salt, for certain, but for instance, Blood Moon would be considered “Very Unique”, Treasure Cruise would be “Somewhat Unique” and Shock would be “Common”. The premise of this attribute is fairly simple, but the assignment of point values should be considered preliminary until we’ve run some statistical analysis. Basically, at any given rarity (and considering the era of the card in question), we must compare it’s current price to other cards at the same rarity (and ideally set) that have already peaked more than the others. With this set as the ceiling, all other things being equal, we can then establish the potential size of the gap our spec may fill. For example, if we were considering a rare or mythic from Innistrad block, we might decide to look at the peak prices for Snapcaster Mage and Liliana of the Veil respectively. Assuming we could convince ourselves that the card under consideration was secretly the equal of these cards (a stretch to be sure, but perhaps some new mechanic is announced that “turns on” our spec), we could then use those peak prices to evaluate our potential for success. One of the most useful scenarios where this kind of comparison is useful is when evaluating the potential of Standard cards. For instance, in a fall set, there is generally room for just one mythic to soar over $30 for any length of time. In the last few years, these high flyers have included Elspeth, Sun’s Champion, Gideon, Ally of Zendikar, and most recently Chandra, Torch of Defiance. Not only do these cards set the ceiling on potential, they also require (because of the need for EV (Expected Value) to find equilibrium), some degree of value exchange with any card in the same set we hope to see a jump. Put simply, we cannot have every mythic in a set worth more than $20, because it would trigger a rush to open sealed product until supply overcame demand, and the prices came back to a reasonable level. 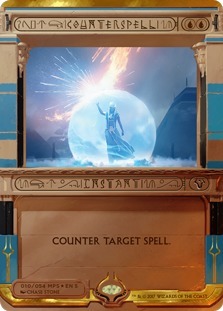 For mythics in Standard as of late, this might mean a price in the $5-10 range, with a few stand outs between $10-$15. 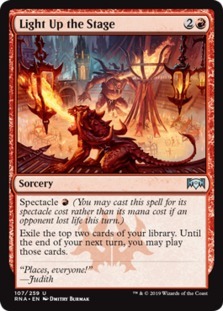 As such, for a card like Torrential Gearhulk to claim the top spot in Kaladesh, overvalued cards like Chandra, Torch of Defiance and Doven Baan will typically fall. Ultimately, by examining this rough ratio, we are both challenging our resolve in not chasing specs that have already been drained of most of their profit, and reinforcing the need to establish how value must drain from the rest of the set to make room for our spec to succeed. Note: Once a set is out of print, and especially if related sealed product has dried up, the equilibrium argument for a set’s total value and box/pack EV is no longer in play. The reason for this is simple: if there isn’t any fresh product to crack, the price of the cards in the set are free to float based on demand vs. dwindling supply that cannot be easily reinforced. This is why boxes of Future Sight, for instance, are over $800. Clearly, cards that are printed more often are harder to make money on, as the window to sell into their peak pricing may be shorter, and their odds of experiencing a demand spike before being reprinted are potentially lower. Most Magic products are “in print” and easily available at MSRP for about two years. This puts a hard ceiling on how much the cards in booster boxes and mass market supplemental products can be worth while they are still in print. Recently I decided to go fairly deep on Grim Flayer foils based on my having noticed that the card had quietly moved into the top fifty creatures in Modern, and that some Jund players were starting to talk about it as better than Tarmogoyf in the deck, all while GB Delirium was providing a consistent presence in Standard. Checking available inventory on foils, I found them low and ripe for a move upward from $25 to a new plateau in the $30-$40 range. So what does the SpecScore look like on this card? Keeping in mind that nothing short of a freshly printed unbannable Ancestral Recall is capable of a perfect score, the black-green beater looks fairly attractive as a spec target. 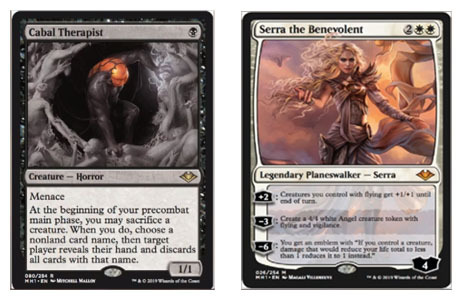 So long as Grim Flayer sees continued play in Standard this year, it’s role in Jund or Abzan decks in Modern and mythic rarity make it a decent speculation target. So there you have it. A first stab at establishing a reasonable scoring system for evaluating Magic: The Gathering speculation targets. Moving forward we’ll be looking to refine this system based on user feedback, leading to the implementation of a SpecScore Calculator posted on all of our card details pages. Next week we’ll use the spec score to evaluate some of my most recent speculation targets and try and get a feel for whether we’re on the right track. Got thoughts on SpecScore? Hit us in the comments below!